I had a great birthday saturday night at Eric Becker's wedding. Thanks for all the well wishes. 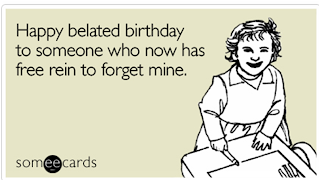 I particularly enjoyed this one from the Gonzo Gal via Someecards, which came in just under the wire.